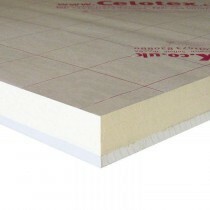 Celotex insulation is widely recognised for its innovative use of materials and diversity. Much of the Celotex insulation range can be used in roof, wall and floor applications, making it an ideal purchase for those carrying out larger insulation projects in their home or office. Celotex has been specially designed to bring an end to thermal bridging. Celotex insulation also combines low emissivity foil with their insulation quilts, providing additional thermal insulation within cavity air spaces. 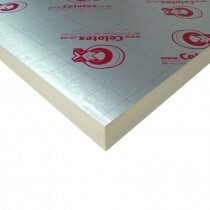 When combined, this makes Celotex insulation an ideal choice for those in search of a proven insulation solution. If you have questions about our range of Celotex insulation, simply call our team on 01295 565565. We will guide you through our range and help you choose the perfect insulation for your project. With fast delivery across the UK and low prices, you’ll be able to get your project started quickly and make huge savings.